We had a cookout for Corey's work down at the beach. 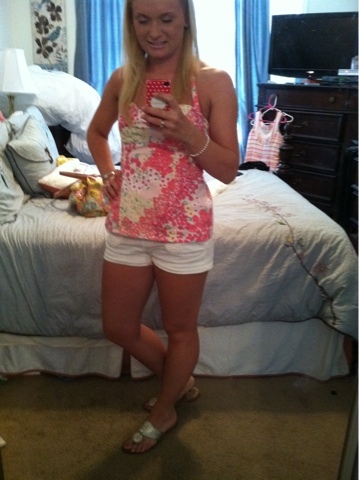 I got to wear this cute Lilly halter top. Clearly I was in the midst of packing for the wedding. 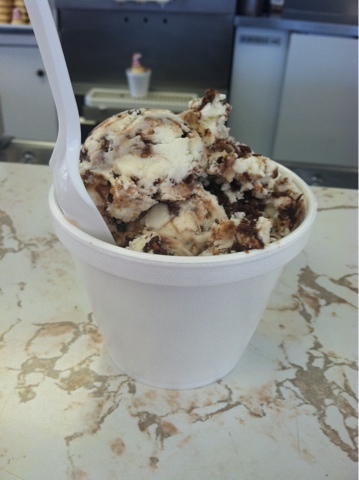 Corey and I spent a day at the lake right before I left for the wedding then stopped at a dairy barn for some mounds ice cream. This was amazing!! 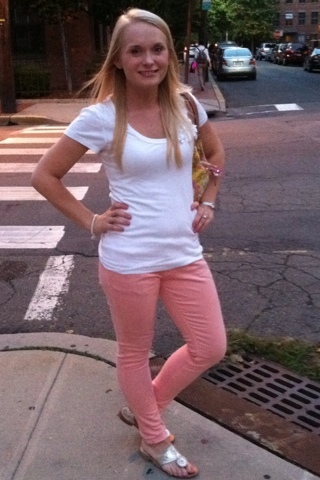 We went to a movie on a cool night and I wore my peach jeans. 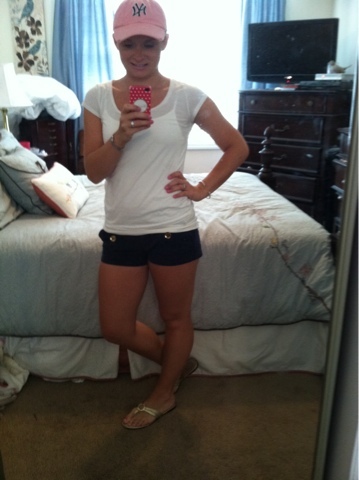 I love these skinnies but its been too hot to wear them most of the summer. I made Skinnytaste's zucchini boats last week. These were delicious! Corey loved them and they are only 151 calories per boat. I'll definitely repost the recipe here soon so you can all try them! 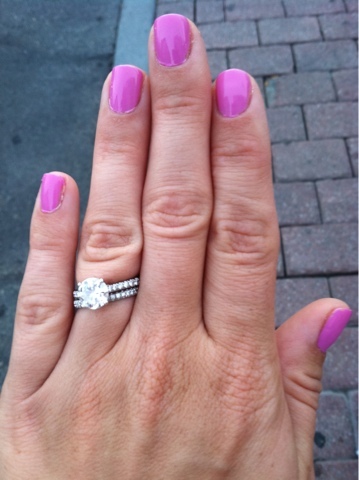 I finally took off my French shellac from the wedding and painted my nails Essie's Cascade Cool. I had to get one more bright color in before Fall! Corey and I and his parents went to the Yankees/Orioles game on Saturday. 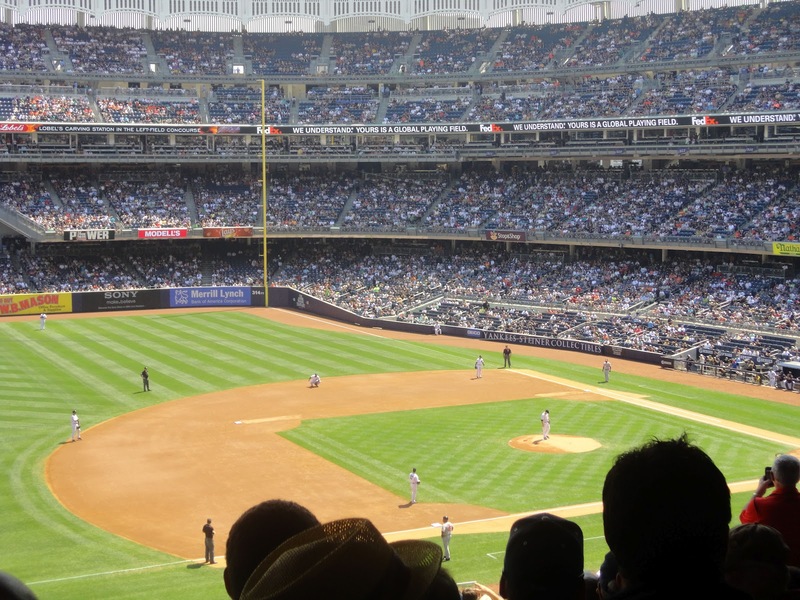 I just love baseball and we hadn't been all season. 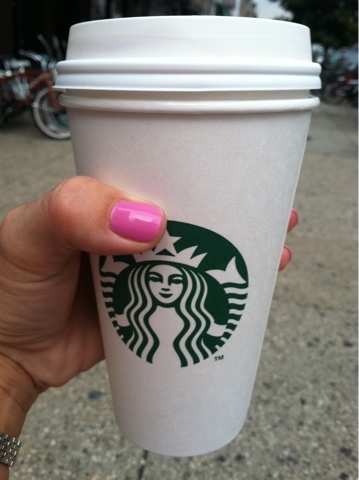 Yesterday I picked up a Pumpkin Spice Latte at Starbuck's. PSL's are one of my favorite things about fall. Of course it was way too hot to be drinking a hot coffee yesterday but I couldn't resist! Yum! Where did you get your peach jeans from, they're so cute!! 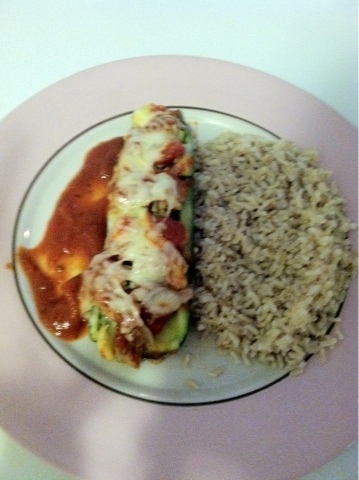 I also have those zucchini boats on my to make list, glad to know another person liked them! Love your ring. Your band is similar to mine.